Mac Griswold. 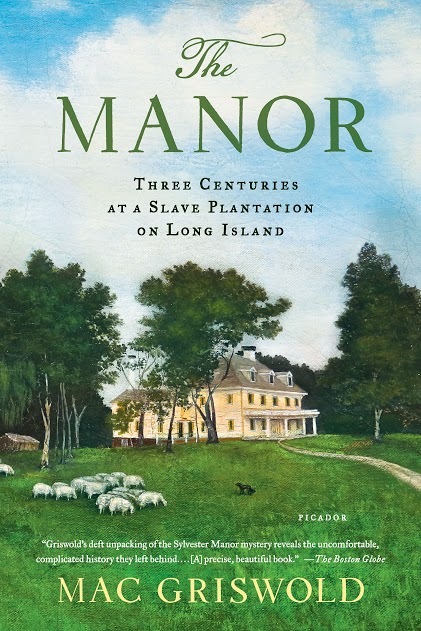 The Manor: Three Centuries at a Slave Plantation on Long Island. New York: Farrar, Straus and Giroux, 2013. Pp. 480. ISBN: 9780374266295. Paper, $18.00. Mac Griswold’s book details the fascinating history of her discovery and exploration of Sylvester Manor, a relic of Long Island’s past located on Shelter Island, and family owned for eleven generations. Her book incorporates a cache of family documents, unique access to archeological excavations and far-reaching genealogical research, spanning over three hundred years of the history of the family which took possession of the island from its native residents in 1652. The book is extremely well researched, and written in a style which will appeal to both scholars and the general public. Griswold is cultural landscape historian, and the author of several books on American gardens, including Washington’s Gardens at Mount Vernon: Landscape of the Inner Man, The Golden Age of American Gardens: Proud Owners Private Estates 1890-1940, and Pleasures of the Garden: Images from the Metropolitan Museum of Art. The recipient of a Guggenheim fellowship and the Noble Chair in Art and Cultural History at Sarah Lawrence College where she taught landscape history, Griswold has lived on the eastern end of Long Island for over 20 years, most recently in Sag Harbor. Her interest in Sylvester Manor was piqued after a friend took her to “see something” on a summer day in 1984. That something turned out to be a series of gardens surrounding a manor house frozen in time on Gardiner’s Creek on Shelter Island, and motivated the author to devote the nearly two decades to researching the history of dwellings, family and grounds of Sylvester Manor. Several themes emerge throughout the book, including the realities of the northern slave trade and the institution of slavery, the Dutch influence, religious motivations for emigration, local connections to New England as well as to the trade routes throughout the Atlantic world, and the deterioration of the indigenous population on Long Island. Griswold’s technique of including the musings of the then-current stewards of the family legacy and Manor house, Andy and Alice Fiske, offers a fascinating glimpse into the motivations and dedication needed to preserve the manor over eleven generations. Her unprecedented access to the family, its records and physical location resulted in a wonderful overview of the ways in which history can be preserved and analyzed. By unwinding the complex history of land acquisition by Europeans, Griswold provides a clearer understanding of the colonial takeover of the native population. According to the author, the population of Northeastern Indians declined from about ninety thousand in 1600 to roughly one tenth of that number due to the impact of war and epidemic diseases such as smallpox and measles. Sylvester Manor was home to many slaves, and this book helps to provide some perspective on the different experiences enslaved people may have endured in both the northern colonies and on the commercial plantations in the West Indies. 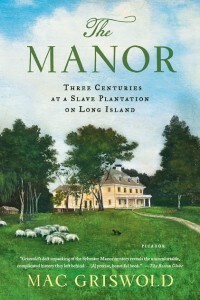 Given the connections between these two very different geographic locations, exploring the history of the Sylvester family allowed the author to delve deeply into the realities of slavery in a way that is unique to Long Island. Scholars interested in exploring the early history of New York and Long Island will appreciate Griswold’s focus on the Dutch background of the Sylvester family, which incorporates their religious, political and economic connections to the Netherlands, and touches on the impact of the “bloody uproar of the English Civil War” and notes that the first owner of the Manor, Nathaniel Sylvester’s “roots in striving entrepreneurial Amsterdam and his crucible relationship with plantation slavery” helped shape his home in the new world (113). Griswold puts the little understood character of Northern slavery into clear perspective by exposing the early and continuous existence of slavery on Long Island. She discusses the economic and social realities of the slave trade, and connects Long Island, through the Sylvester family, to the sugar plantations in the West Indies which functioned using a workforce of enslaved Africans. The Manor served as a “provisioning plantation” for family owned sugar plantations in Barbados (185), and the widespread use of slaves there likely influenced the Sylvesters’ attitude toward this institution, even though the family had embraced the Quaker religion early on. The archeological remains uncovered at the Manor site were termed “archeological bonanzas, revealing much about cultural as well as physical life” (144). These middens (or trash heaps) yielded Dutch clay tobacco pipes, coins from five European nations, brass harness ornaments, roof tiles, ceramics from locations around the world, and a six-inch door key. Readers will enjoy the complex and detailed discussions of slavery, religion and early colonial life presented in Griswold’s groundbreaking book, though some may take exception to the author’s occasional speculations about the mindsets and motives of her subjects. The meticulous research and detailed analysis presented here have provided historians with an unparalleled view of early Long Island history, through the prism of one family and one island, yet connected to the wider Atlantic world in a unique and comprehensive way.